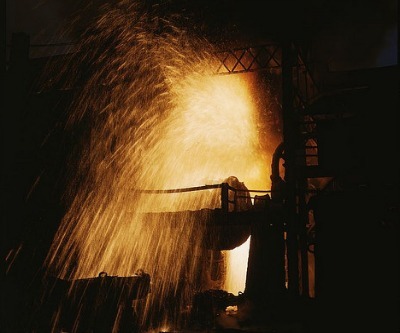 Reuters reports China's average daily crude steel output hit a new all-time record high of 2.129 million tonnes over April 21-30. That was up 0.6% compared to the preceding ten days, data from the China Iron & Steel Association showed on Wednesday. During the first quarter the country's steel industry – a proxy for the health of the country's infrastructure investment dependent economy – upped crude steel output 9% against forecasts of 4%–5% growth. The global seaborne iron ore trade exceeds 1.1 billion tonnes and China consumes almost two thirds of that. China imported 67.1 million tonnes of the steelmaking raw material in April, the third highest amount on record and up 4% from March. On Wednesday benchmark CFR import price of 62% iron ore fines at China's Tianjin climbed to $130.20 a tonne, up from its 2013 low of $128.10 reached last week.